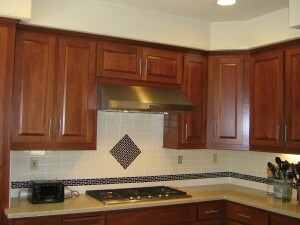 This Elk Grove kitchen remodel has ample counter and cabinet space. 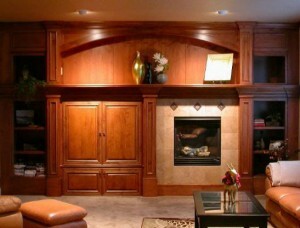 The cherry cabinets are have wood and glass doors. 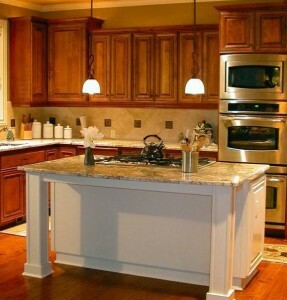 The counters are white tile with miniature mixed color tiles for a backsplash. To give some contrast the owners hardwood floors made of oak. 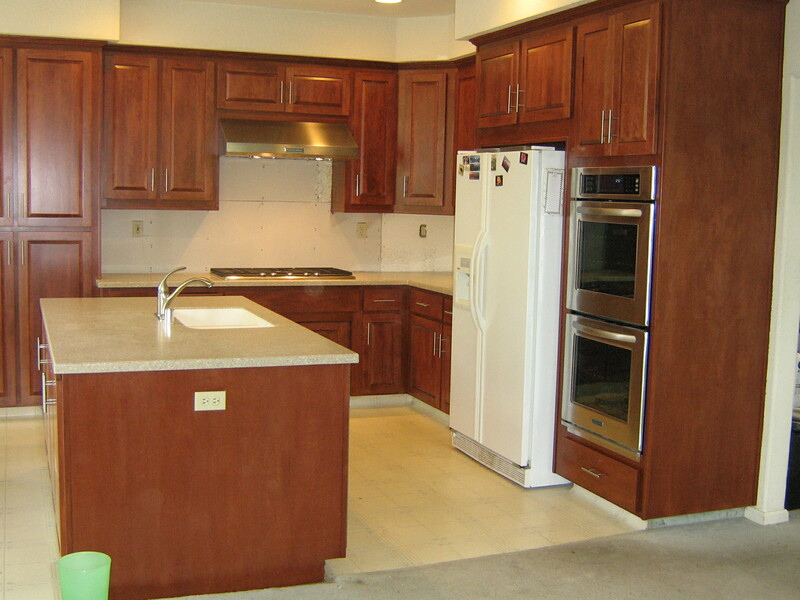 This Elk Grove kitchen was built with the standard 1990’s white washed oak cabinet and the owner want to update the look of the kitchen. 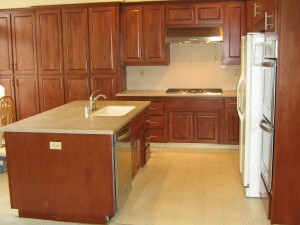 The owner choose to go with cherry cabinets, a dark granite counter with build it stove. The backsplash is ceramic tile places at an angle and inlaid dark tiles for contrast. The homeowner also purchased all new appliances.